When delays happen, travelers can miss cruise or flight connections. Missed connection coverage is not the same as trip delay coverage. Trip delay insurance covers expenses incurred because of a defined delay. However, missed connection trip insurance covers expenses that stem directly from missing a connection due to unforeseen circumstances that are out of the traveler’s control. Airline and cruise carriers do not always have to provide monetary compensation for all missed connections. If a missed connection is caused by mechanical problems on a plane or overbooking a flight, the airline must compensate travelers if their flight arrives more than an hour past the original scheduled time. For short delays of an hour or two, the airline must reimburse travelers for the lesser of double the ticket price or $650. The reimbursement amount increases to the lesser of four times the amount of the ticket or $1,300 if the delay exceeds 2 hours. Compensation rules vary with cruise carriers. Always check with them about their policy on this before booking a cruise. 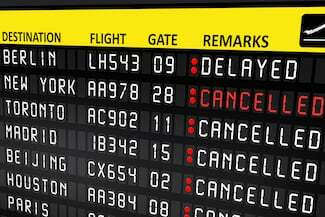 This type of trip insurance covers expenses related to missing a flight because of a delay on another flight. For example, a traveler would be compensated if the first plane sits on the tarmac for 4 hours because of mechanical errors or weather issues and causes that person to miss the next flight on the itinerary. It also covers a missed flight due to an accident or unforeseen road delay on the way to the airport. This form of travel insurance will not cover a missed connection or flight because of a passenger oversleeping, spending too much time sightseeing or a similar issue that is the traveler’s fault. Missed connection coverage is usually an added feature on a travel insurance policy package. If there are multiple flights on the itinerary or flights mixed with cruises, it is smart to purchase missed connection coverage. The policy limit is a set dollar amount, and reimbursement may be less than or as high as that limit. There are different limits from one company to another. Since not all companies have the same terms when it comes to reimbursement for missed connections, always compare several trip insurance policies and their terms before making a final selection.